This story was originally published on September 1, 2015. These crows are clearly standing in for Black people. Their way of speaking, their clothes, even their names are racial stereotypes: The main bird’s name is Jim Crow, in reference to America’s racial segregation laws. 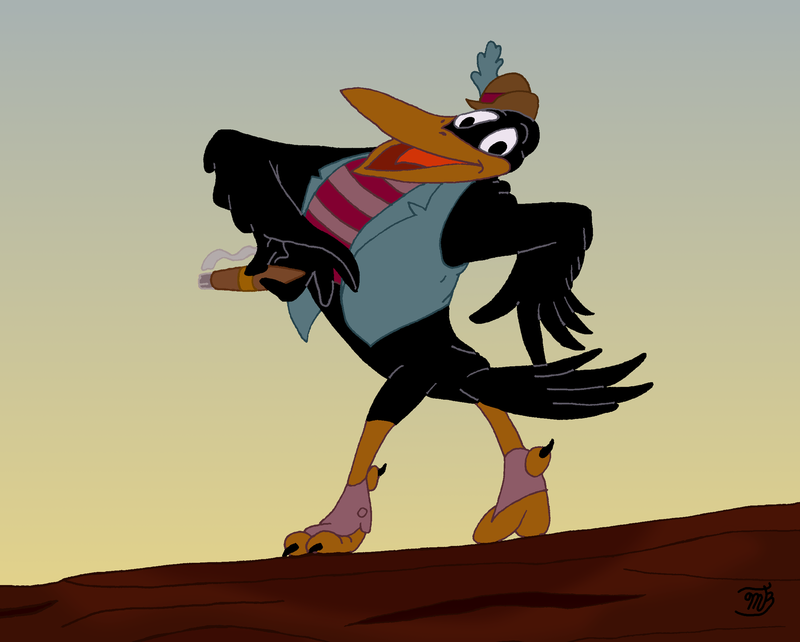 Some of the crows are voiced by Black actors, but Jim Crow himself was portrayed by Cliff Edwards, a white actor and ukulele player better known for voicing Jiminy Cricket. In many films, Disney animals stand in for people of color—until the 2009 film Princess and the Frog, there were no major Black human characters in any animated Disney film since Uncle Remus in the infamously racist 1946 film Song of the South. Scholar, writer, and activist Walidah Imarisha is someone who’s been thinking hard about what stories Disney tells and why. She teaches a class on race and Disney films at Portland State University. Her class does a deep read on Disney, looking at the role that animated animals play in defining perceptions of race, class, and gender. She generously took the time to talk with me for the “Animal Friends” episode of Popaganda. You can listen to the interview or read it below. So one of the requirements of your class on race and Disney films is for students to write a personal essay about their history with Disney. So I was hoping you could tell us about your history with Disney. Did you watch a lot of Disney as a kid? And when did you start thinking critically about the way Disney uses animals, with an eye on race specifically? Sure. So I mean, I think it’s really important for us to acknowledge the kind of ways that Disney has influenced all of us, and I think that I feel like people either love Disney or love to hate Disney and oftentimes aren’t thinking about it in a holistic way. And so I think for students coming into the class, it’s really hard to critique Disney, right? Because Disney has been part of the vast majority of our lives since before we could remember a time without Disney. And I think it’s really important to recognize that that’s actually part of Disney’s marketing plan, and their goal is to get folks when they’re babies, which is why they market products to babies, to get folks before they know that there is such a thing as a world without Disney, and to kind of inculcate themselves in this magical realm and this idea of nostalgia so that they actually don’t fall within the realm of critique. Pretty much every term, I’m accused of ruining people’’ childhoods [chuckles]. And so my goal is to try and find a way to acknowledge that emotional connection while still saying, and that actually means we have to critique it even more, not less. That’s funny you point out that, like I personally can’t remember a time before I knew about Disney. It’s just always a part of your culture and always a part of your life. Disney is such a cultural touchstone for our pop culture. It’s where it all begins. Yeah, absolutely. I mean, I think that that can’t be overstated, and again, that that is a concerted effort by the Disney corporation to do that, right, and to kind of infuse itself into every part of American culture. The other thing about Disney is that Disney works so hard so people won’t think about it as a corporation. And it’s been incredibly successful at that, and many of my students have an incredible hard time thinking of Disney as a corporation. And I’ll say, “Okay, what is the definition of a corporation?” And we’ll go through it. “What is the point of a corporation? To make money for its shareholders.” Students are very clear about it. I’m like, “What is the point of the Disney corporation?” “To make people happy!” Right?! Because Disney has done a phenomenal job of marketing itself in a global context. Right. So let’s talk about a film specifically. One of the first films you discuss in your class is the 1967 animated film The Jungle Book. This, of course, is a film that’s all about animals. It has Baloo, there’s the Bear, there’s Bagheera the Panther, there’s Shere Khan, who’s a tiger who’s a villain. Can you talk about how you use The Jungle Book to discuss race with your students? Absolutely. I mean, I think that The Jungle Book is an incredibly important film because it shows the Disney ideology, in many ways, the clearest. So Walt Disney had a very clear framework about how the world should be, and he was very clear and upfront about that. Walt Disney had an incredibly conservative framework. He felt that women should be in the home, he felt that there shouldn’t be queer and trans folks in the world, he felt that folks of color should keep to their menial places. He was very clear on this sort of immense, conservative world view. And that world view is infused in all of these Disney films, and I think you can see it, in some ways, most clearly in The Jungle Book. The Jungle Book is actually the last film that Walt Disney worked on personally before he passed away in 1966. There are great scholars who really look at it, one of them being Greg Metcalf who has an article really saying that, in many ways, The Jungle Book is a complete repudiation by Disney of all of these changing times. The 1960s. What’s happening in the 1960s in this country? Well, everything [chuckles]. We have the women’s rights movement, women liberation movement, we have the beginnings of gay liberation movements, we obviously have third world, Black, Latino, Asian, Indigenous liberation movements happening here and globally, and that The Jungle Book is actually a complete repudiation of all of that. And if you go through, what comes out so clearly when you watch The Jungle Book is there is a natural order of things. Things have a natural order. Everyone has their place in a hierarchy, and it is once you step out of that place that everything falls apart. And things cannot come back together, and society can’t function unless everyone is in their proper place. And we see that with, especially with the differences between the original book by Kipling and the changes that Disney makes to it, to kind of emphasize this. So in the book, there’s a reason that Mowgli can’t go to the village for a while, but at the end of the film, Shere Khan is gone. Mowgli tied that burning stick to his tail. He’s gone, seemingly we won, there’s no more danger. 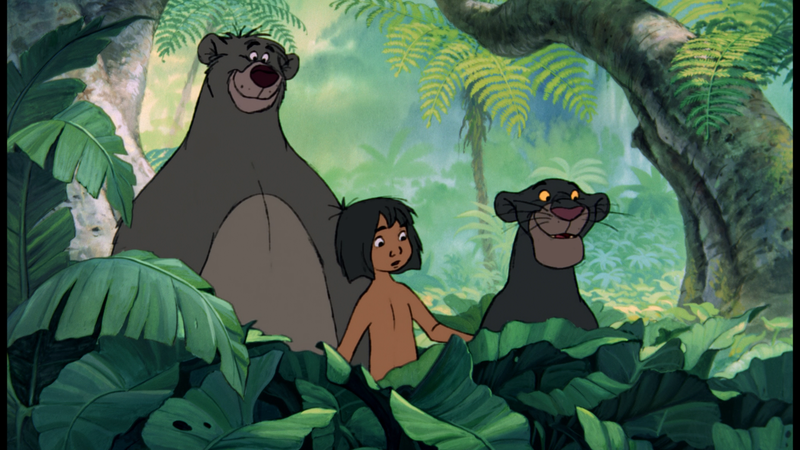 Why can’t Mowgli stay in the jungle, right? So that’s not the natural order of things. And they reinforce this again and again and again. So let’s talk about another film you discuss in your class, which is The Lion King. It came out in 1994. Does the message remain the same over those 30 years, that people should stay in their place, defend the status quo, put like with like? Or do you see a radical difference between the way The Lion King deals with these issues versus The Jungle Book? Yeah, I think that’s a great question, and I think that the idea with Disney—and there’s actually an article called this—is that the more things change, the more they stay the same. That one of the things that makes Disney incredibly a brilliant corporation is that it takes the critiques that are being given to it, and it seemingly incorporates those critiques while keeping the same underlying ideology. So The Little Mermaid actually was a response to a feminist critique of saying these old Disney princess films with Cinderella and Snow White, and dear God, Sleeping Beauty who spends the vast majority of the film either singing, cleaning, or sleeping, these are not appropriate images for young girls to have anymore. So then they gave you The Little Mermaid who’s this strong, empowered, independent, adventurous young woman until she sees a man, and then she’s willing to give up everything for him. So the more things change, the more they stay the same. And we absolutely see this in The Lion King because again, we have the lions being coded as the top of the hierarchy, the ruling monarchy, and so being coded as white. 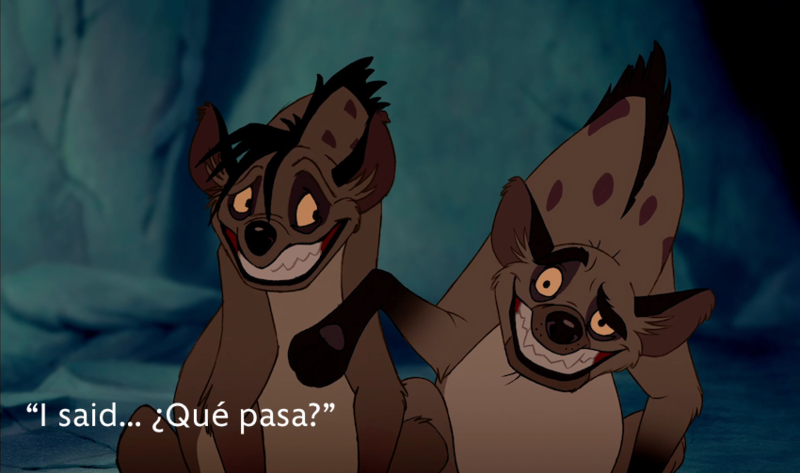 And we have the hyenas who are voiced by two people of color, and really the main two people of color voices that we hear in that. 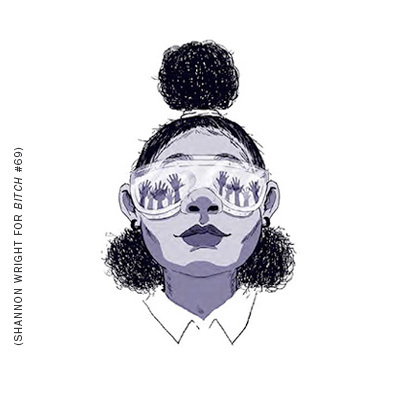 We see the hyenas being coded as people of color, and they are ghettoized. They’re given the badlands. They’re given the lands where the light doesn’t touch, where nothing grows, and they are starving to death in this very clear analogy to folks who are in inner city, over-exploited, underresourced communities. And when the hyenas leave their segregated community and try and take over with supporting Scar’s leadership, that’s when everything is destroyed. The land itself rebels against this unnatural order of things. The water dries up, there’s no food to eat, like the land itself becomes desolate, the sun goes away. It’s just dark, and there’s nothing to eat, and everything’s terrible because we did not keep to the natural order of things. It is only when that hierarchy and that segregation is reinstituted that we see the sun immediately comes out, the water begins to flow, the animals are happy, and everything is back to the way it should be. You’ve done a lot of thinking about Disney and you’re a writer yourself, so here’s a difficult question. Disney films are seeing by every kid, there’s no escaping them. If you could write a Disney film, do you have an idea for what you would make your film about? Listen to this interview and more deep reads on pop culture critters on our “Animal Friends” podcast. These films are decade old cartoons about animals. They also carry positive messages about friendship and family. Is there really any good reason to creat controversy about racial bias in 20 year old movies. Is anyone even shocked its there? Also, are all bad guys supposed to be old white guys in suits or totally without ethnicity? I think this is a good example of when sensitivity (which I'm all for) goes too far. If sensitivity, meaning being aware of stimulus and of your environment, then why stop at socially agreed boundaries of what is appropriate? If the argument is legit, it's not hypersensitive. It's critical.